When I was young, my 2nd grade teacher made silhouettes of each child in class. I still have that construction paper silhouette of my chubby little face with braided hair. I love it. Silhouettes are timeless and classic. 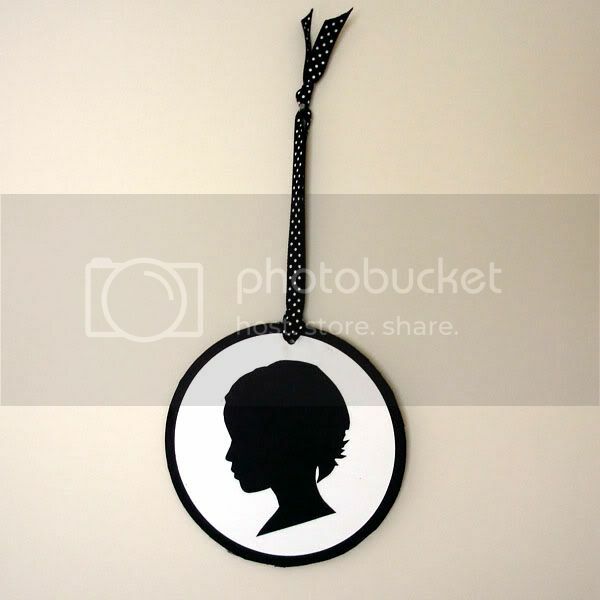 I want to show you just how simple it is to make a Silhouette of your child or another special person in your life (and dare I say the "pet in your life"?) It can be done. From start to finish this project took me around 30-45 minutes. So grab your cardstock and let's get going! I chose WorldWin cardstock because you don't want your cardstock to be too bumpy/textured, but it still needs decent weight. 1. Take a photo of your subject from a 90* angle. 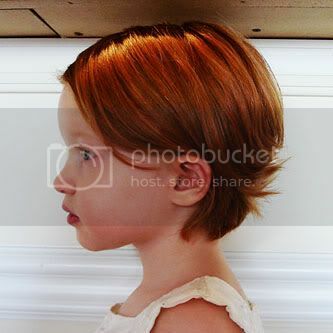 For my wiggly toddler, it helped me to have a visual fixed point to instruct her to look at while I snapped 3-4 photos. You want to take them from slightly different angles to make sure you get that perfect 90* shot. 2. Crop photo to 4x4" square. Change to black and white. 3. Print out on regular white printer paper, not cardstock. 4. 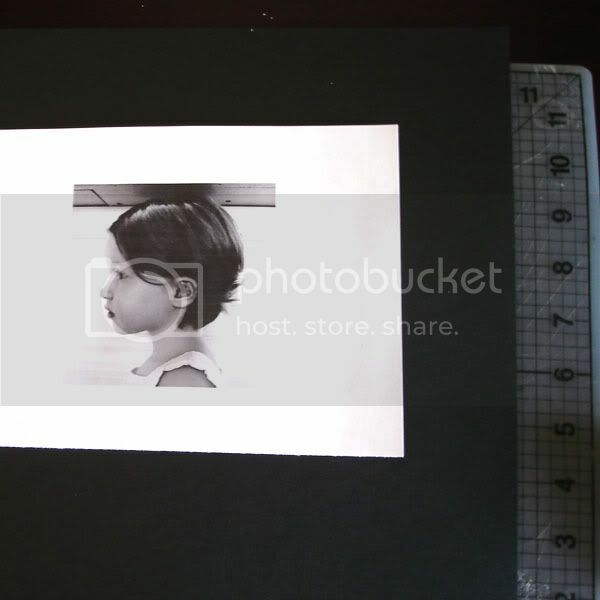 Use adhesive around outer edges to affix printed photo directly onto black WorldWin cardstock. 5. 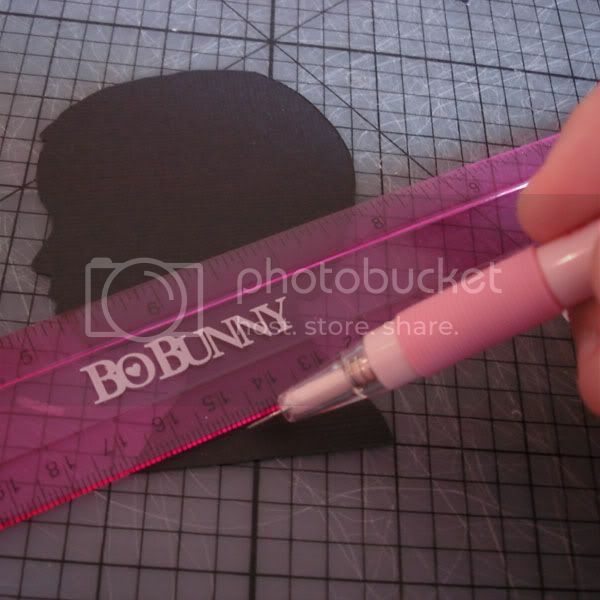 Using your craft knife cut directly around your subject's silhouette. This is where the Bo Bunny Craft Knife is invaluable. It has a much smaller and thinner blade than other craft knives on the market and is much more precise. Make sure you hold your craft knife straight up and down. Press firmly enough to go straight through the cardstock as well. Make sure you follow every single little bump and strand of hair. On my first try I smoothed the lines and it was very "helmet head". 6. 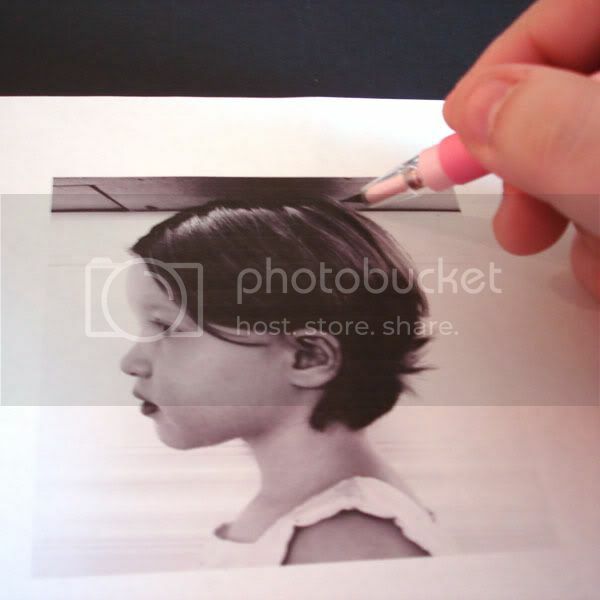 Take a clear ruler and craft knife to cut a 45* angel along the subjects bust area as shown in picture below. 7. Use Fiskars Circle Cutter to cut a circle from your white WorldWin cardstock whose radius is slightly larger than your silhouette. Adhere silhouette to white circle. 8. 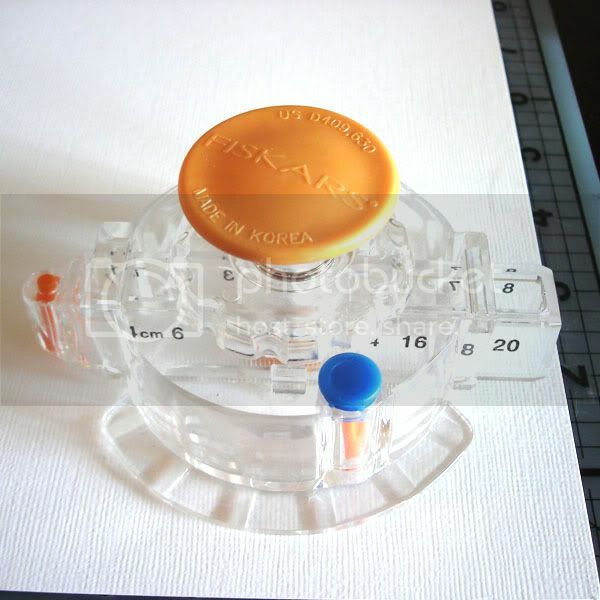 Adjust circle cutter to make the radius 1/4" larger and cut circle from your leftover scrap of black WorldWin cardstock. Do not adhere silhouette yet. 9. 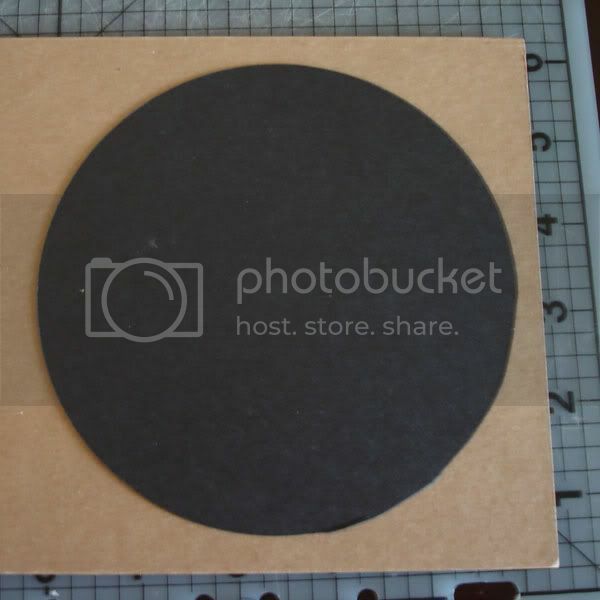 Adhere black cardstock circle to World Win Crafty Board. Cut along edges using very heavy duty scissors (I actually used kitchen shears). Use your black ink pad to ink the edges of your Crafty Board circle to blend it with your cardstock. 10. Adhere white mounted silhouette to black circle. 11. Punch hole in complete silhouette using Crop-O-Dile and string Bo Bunny dotted ribbon through, tying with a knot. Use journaling pen to write subjects name and the date on the back of your project. Display on wall. I hope you love this project as much as I did. I made one of both of my girls, making Evangeline's slightly smaller than Ella's by printing her photo in a 3" size and scaling down all other elements. This could easily be adapted in a smaller form to make a Christmas tree ornament. Simply cover with Mod Podge when finished to seal. I am loving this tutorial. Wonderful! I remember making those silhouettes in school as well, but obviously too large to use for scrapping. This is a great tutorial - easy to follow and a fun project that will be cherished! Thanks for sharing! Thank you so much for sharing that. You make it sound easy to do. Can't wait to give it a try. This is gorgeous! As a hybrid scrapper, I'd love to do this digitally. I know I've seen a tutorial to do this in Photoshop or PSE... can anyone tell me where to find it? A very fun idea to do!! Oh, I have been wanting to make those for a while now and in the meantime, the kids are growing and changing! Haaack! Thanks for the quick tutorial!